Mr. Warren has over 25 years of experience as a highly successful investor and entrepreneur. In 1996, Mr. Warren co-founded Ivy Equities, which was initially founded with the goal of acquiring commercial real estate throughout the northeastern United States. 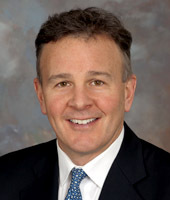 Mr. Warren began his career as a co-founder and CEO of Professional Sports Care Management, Inc. which he helped develop into the largest chain of physical rehabilitation clinics in the New York tri-state region. Over a five year period he led the company’s expansion to over 35 centers and took the company public in 1994 at which point he became among the youngest CEOs of a NASDAQ listed company. The company consummated numerous roll-up acquisitions, completed a secondary sale of its stock in 1995 and was sold to HealthSouth in 1996. Since its inception, Ivy has built a solid reputation as one of the finest real estate operators in the northeast market, having acquired more than $1.5 billion in assets. Today, Ivy Realty is a full service real estate company offering asset management, property management, accounting, construction and leasing services throughout New York, New Jersey, Connecticut, Massachusetts, Pennsylvania, Maryland and southeast Florida. Presently, Mr. Warren is a member of the Investment Committee of Ivy Realty and a Board member of IvyRehab Network Inc. and Ivy Sports Medicine, LLC. Mr. Warren graduated from Princeton University in 1989.